It’s no secret that I like to craft and make things. And its only fitting that one of my Mother’s Day gifts to my mom is homemade. This particular gift will be from my three kids. 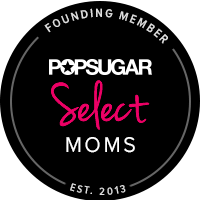 When I was thinking of what to get my mom, a woman who has anything she could possibly need, I knew she was lacking in the photos department. I constantly text her pics of the kids but she admits she hardly prints them. I’m pretty guilty of that myself. She’s a teacher and I knew a photo block would sit just perfectly on her desk at school. The cool thing about using a wooden cube is that there are six sides, allowing you to use six photos. It’s a pretty clever way to showcase your pics without getting one of those slide show digital frames. I like to keep my crafts in the stone-ages, so this wooden block transformation is just my speed. Read on to see how simple, yet adorable, this gift is to make. Paint your unfinished wood cube using the foam brush. Let all sides dry completely before gluing on photos. 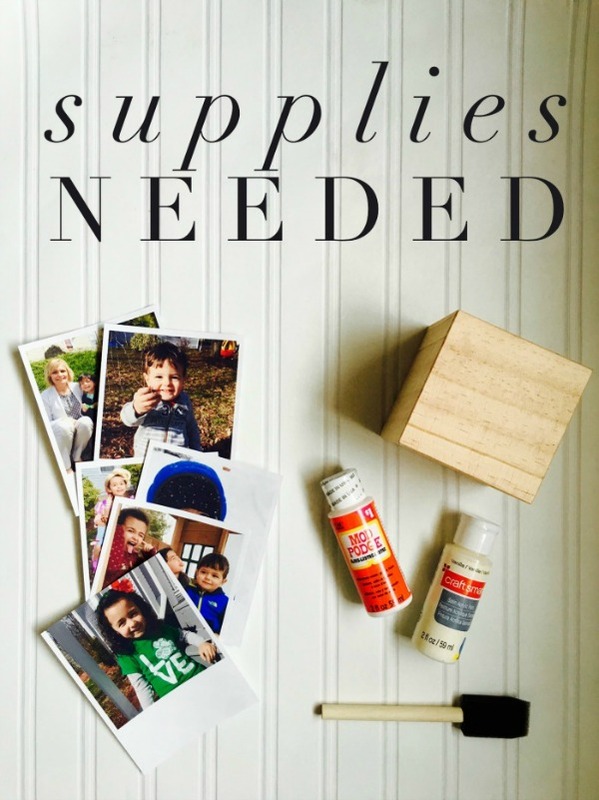 Wash the paint off the foam brush and then use the brush to apply Mod Podge to the back of the photos. 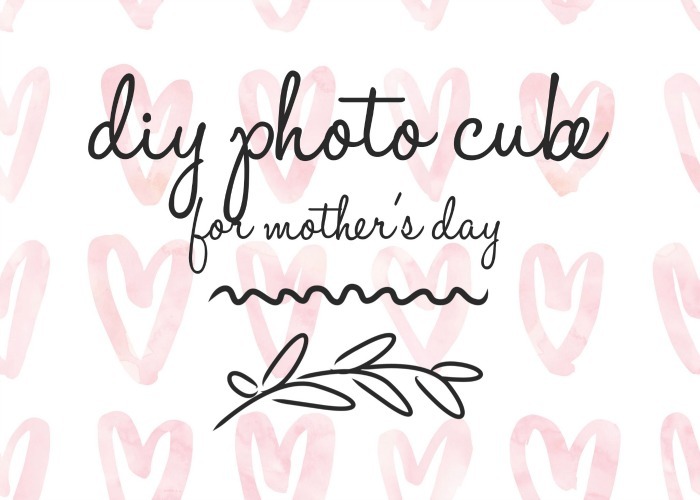 Place one photo on each side of the cube. 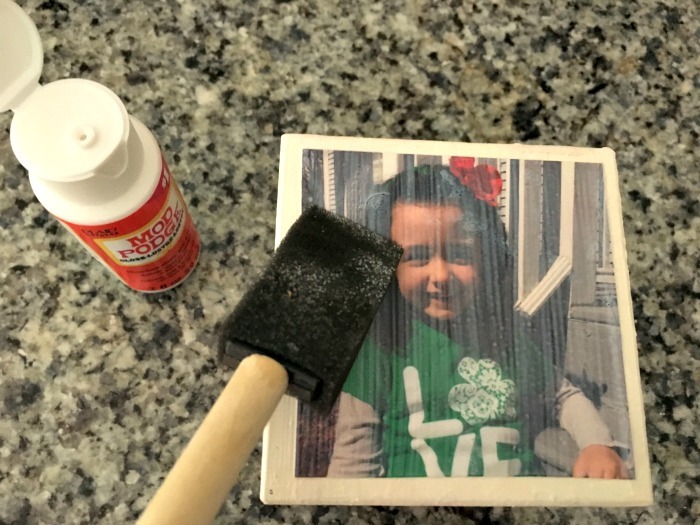 Let photos and Mod Podge dry completely before final step. 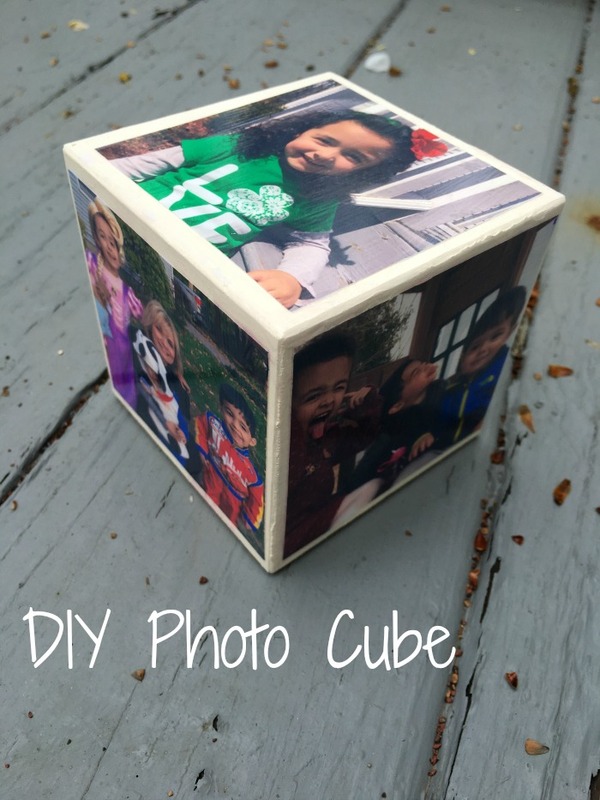 Paint a layer of Mod Podge over the picture and each side of the cube. It’s going to look weird at first putting glue over the picture, but it helps seal the photo and gives it a nice shine. And that’s it! Now you have a simple, yet beautiful gift that is sure to be loved. This photo block can work for any occasion. Milestone birthdays, new baby, weddings and of course, Father’s Day.